The role of plumbing in the everyday lives of people isn’t one that brings a great deal of discussion, unless something goes wrong. Then, fixing the problem as quickly as possible becomes a high priority. This is true for both residents living in the comfort of their homes or those situated within a commercial structure. Plumbing is plumbing, right? Not really, especially when it comes to particular businesses. For example, the average homeowner doesn’t have grease traps inside their home like restaurants or bathrooms with multiple toilets within each of those areas. Such considerations may run the risk of overwhelming your friendly neighborhood plumber, who might be used to handling one issue at a time. That brings you back to square one when it comes to finding a plumber for your needs. Going commercial in this case will help solve the problem. Plumbing, like every other industry, continues to evolve by adopting new types of equipment to do the job. This can be technology that can be used for foundation leak detection like Nuflow, which goes directly to the source of the problem. This helps avoid the issue of fixing what appears to be the problem before then being called back to again address the core concern. A residential plumber may be used to a certain way of doing things, yet there are distinct differences in the setup of plumbing within a home and a business. That means a different plan of attack is often necessary to accommodate all of the added drains and pipes that are involved with a commercial structure. Not only that, but that can be specific guidelines that require stringent adherence to the plumbing codes of a particular municipality. Not every residential plumber is going to keep such things in mind when performing their job, neglect that might end up causing trouble down the road. 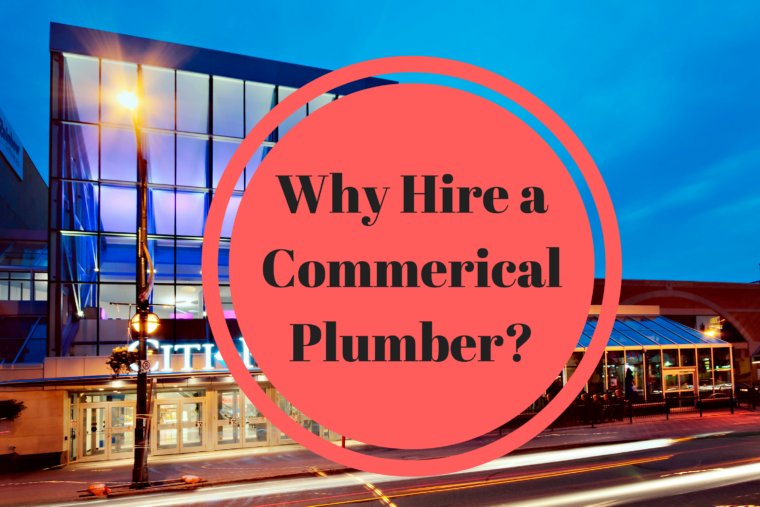 In many cases, commercial enterprises are bound to hire licensed plumbers, rather than a handyman who says that they can do the job at a cheaper rate. Commercial plumbers know that businesses can’t afford to have their plumbing down for long or those businesses risk potential loss of their particular market share. That’s why they’re available around the clock, since they know that getting things fixed as quickly as possible will help eliminate that threat. True, there are residential plumbers that are willing to come out on emergency calls. However, that brings us back to the issue of being able to handle a major job that may be far beyond the scope of that plumber’s skill set. Plus, their ability to handle such jobs in rapid fashion is also open to question. Not all plumbers have access to technologies like Nuflow that offers foundation leak detection, but any commercial plumber should have it available. The staff at Accurate Leak & Line fits that category and are ready to make sure that whatever the plumbing problem at your commercial business might be, we can handle it. Contact us today to fix your particular issue.